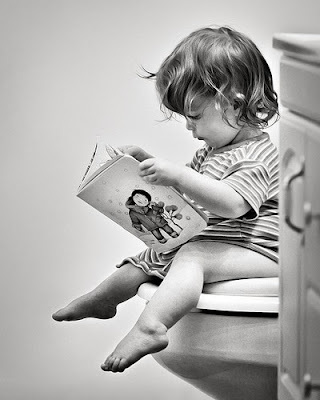 When I was first being potty-trained, I fell into the toilet while sitting upright on the seat. Imagine my tiny two-year-old self in a folded up position, nose to knees, toes to sky, and a very wet tush. Apparently, I refused to go back on the toilet for six months. Maybe that's why I now have a serious aversion to toilet talk. Well, there's my random tidbit today. Would love to hear yours!